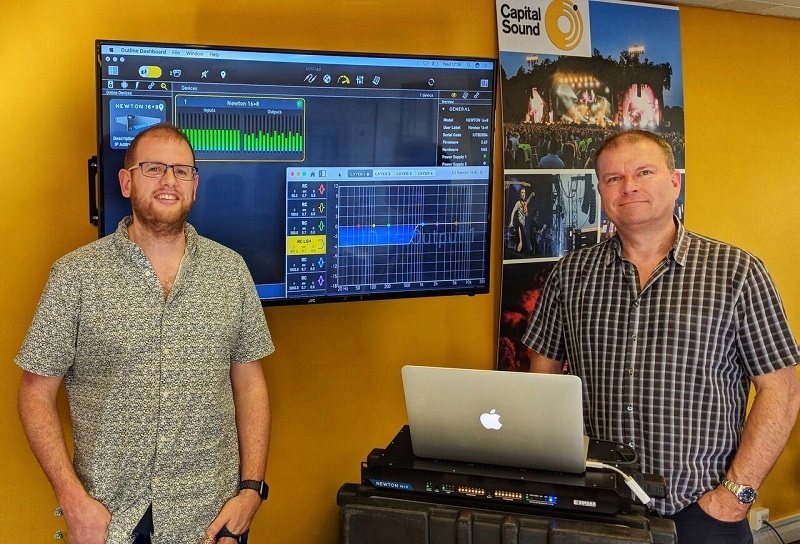 London-based Capital Sound Hire have added yet further to their Outline inventory with the addition of the Italian company’s latest multi-role processor, the (patent pending) Newton. Officially launched at prolight+sound in Frankfurt recently, the extraordinary flexibility of Newton brings a new level of convenience and system integration possibilities to professional users throughout the audio industry. In which specific applications do you see it being used for Capital projects, and what operational features particularly attracted you? RC: “These units were bought as an option for our drive systems in general, as they have the ability to run all four brands of loudspeaker system presently in our inventory – however, there are so many elements to this unit that are of interest, not least that the platform, being FGPA based, will allow the unit to continuously grow during its life span.